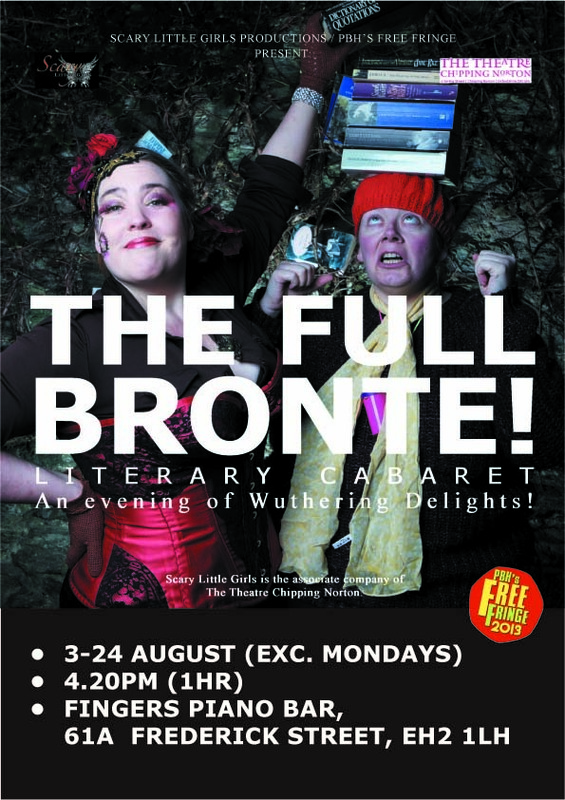 Scary Little Girls » News » Our Work » Cabarets » Literary Cabarets » Which Brontë are you? While Scary Little Girls is performing literary cabaret The Full Brontë at the Edinburgh Free Fringe, we’ll be asking punters: Which Brontë are you? Take this quick, fun, Cosmo-style quiz and find out for yourself whether you’re a Charlotte, an Emily, or an Anne! Home: You grow up in the isolated Haworth parsonage in the Yorkshire Pennines, brought up by an aunt who shocks visitors by offering them snuff and a father who starts the day by firing a pistol out of his bedroom window. This unconventional upbringing manifests in which of the following traits? Career: You share an immersive creative process with your siblings and between you produce some of the most visionary and enduring novels in the English language. Which of the following descriptions of this work do you most identify with? Love: Despite – or perhaps because of – your isolated upbringing and active imagination, you develop intense and passionate romantic attachments. Which of the following sounds most familiar to you? Click here if you scored 3, 4 or 5 points. Click here if you scored 6 or 7 points. Click here if you scored 8 or 9 points.